The shift in health care from volume-based, fee-for-service to value-based reimbursement (VBR) continues to push forward. In its wake, unintended consequences and new challenges have emerged — not only in aspects of delivery but also when determining fair market value (FMV) and remaining compliant with the federal Anti-Kickback Statute and the Stark Law. Below we touch on those consequences and how they’ve emerged from both new and old regulations. Now in play, the Medicare Access and CHIP Reauthorization Act of 2015 (MACRA) promises to fundamentally change the way the country evaluates and pays for health care. Its new payment schedules, however, have created ramifications that not only tangle the hospital-physician relationship but also create implications for VBR transactions and valuations. 1. Pay for Performance (P4P) Arrangements: The remuneration system makes part of payment dependent on performance, measured against a defined set of criteria, and creates measurements and performance standards for establishing target criteria. 2. Shared Savings Arrangements: The new approach incentivizes providers to reduce health care spending for a defined patient population by offering a percentage of net savings realized as a result of their efforts. 3. Episodic Payments: An episode payment system offers a single price for all the services needed by a patient for an entire episode of care; for example, all the inpatient and outpatient care needed following a heart attack. The intent is to reduce the incentive to overuse unnecessary services within the episode. It also gives health care providers the flexibility to decide what services should be delivered rather than constraining them by fee codes and amounts. 4. Global Budget: With a fixed prepayment made to a group of providers or to a health care system (as opposed to a health care plan), this arrangement covers most or all of a patient’s care during a specified time period. Clearly the value equation is shifting. Value is defined no longer solely by how much revenue a physician generates but rather by solving problems for patients and patient experience. Value can also be derived not by revenue per patient, but by how many patient lives a physician directs, and with that comes control over how some payments are allocated for patient related services. As the value dynamics change, hospitals have sought to establish closer relationships with physicians. Acquisitions of physician practices by hospitals have continued at dramatic rates alongside the move toward direct physician employment and provider service agreements. New players in the market and marketplace forces have also emerged as competition to hospitals. Private equity groups and insurance companies are pursuing the acquisition of physicians and clinics for control of patient lives, and therefore revenue. While the trend toward hospital-physician alignment is intended to improve health care delivery, it has come under scrutiny for potential fraud and abuse violations due in part to established laws that now appear at odds with the new VBR movement. Health care organizations, providers and their counsels are well aware of the laws in place they must abide by, namely the Anti-Kickback Statute (AKS) and the Stark Law, which have been in force for more than three decades. Such regulatory considerations related to fraud and abuse have long had significant impact on the value attributable to each property interest and on the valuation process itself. There are in fact several distinct meanings of fraud within the context of the health care regulatory framework, and they affect a property’s profitability and sustainability, creating significant risk and uncertainty for business entities. What constitutes fraud, however, is now under the microscope and creating potential liability under the False Claims Act. The new direction of collaborative relationships on behalf of the patient and patient outcomes can make some arrangements suspect. How do physicians refer patients in the new MACRA environment without it being considered a conflict of interest or fraudulent? How will payments made to physicians not exceed the range of FMV and be deemed commercially reasonable? How can alignment strategies be constructed to provide a full continuum of care under VBR reforms? The friction between the enforcement of fraud and abuse laws by the Department of Justice and the Office of the Inspector General, and the VBR models being implemented by Health and Human Services is warranting a review of MACRA and the threshold and definition of commercial reasonableness. With no one clear definition of commercial reasonableness, its analysis is ripe for distortion. Many regulators’ arguments are centered around Practice Loss Postulate (PLP) — that the acquisition of a physician practice that then operates at a “book financial loss” is dispositive evidence of the hospital’s payment of consideration based on the volume and/or value of referrals. The problem? In maintaining the economic delineation between physicians and hospitals, the PLP focuses exclusively on immediate and direct financial (cash) returns on, and returns of, investments by health care organizations related to vertical integration transactions. The PLP ignores other economic benefits associated with vertical integration, such as social benefits, qualitative gains, efficiency gains and avoiding costs. As a consequence, such a vertical integration move could be viewed by regulators as evidence of legally impermissible referrals under the Stark law. However, it would prevent vertically integrated health systems from withstanding fraud and abuse scrutiny. And it would create barriers to satisfying the threshold of commercial reasonableness. Active industry input and congressional committee discussion is underway in hopes of generating workable strategies to reduce the law’s burden. And although the actual outcomes are uncertain, changes are clearly ahead. Segment 5 – Why Is U.S. Healthcare So Expensive? This segment reviews the “Perfect Storm” of reasons for unrestrained increase of healthcare spending in the U.S. In Episode 4, we zeroed in on what I call the Real Problem with healthcare — relentlessly rising costs. In this Episode, we will look at why the US spends so much on healthcare. As you can imagine, there are many reasons, not just one. In fact, it’s a perfect storm of bad reasons. We will also look whether we are getting our money’s worth. Here’s the list. Part 1 & Part 2. We will go through each one. Let’s start with some natural drivers of health spending, which are understandable and expected. First, as the population grows, so will health spending. Likewise, as the proportion of older people increases, so will spending. We also expect health spending to increase slowly with inflation. New technologies and medicines increase cost, but we hope will give dramatic benefits. For example, during my 40-year practice lifetime I have seen the introduction of new drugs for diabetes, blood pressure, and virus infections including HIV and flu. I have seen new ultrasound, CT and MRI diagnostics. I have seen cardiac caths, by-passes and joint replacements. These new things are expensive but well worth the cost. But health spending grows from 1-1/2 to 4 times the rate of inflation, much more than would be explained by natural drivers, as we saw previously. So, let’s look at the other reasons. 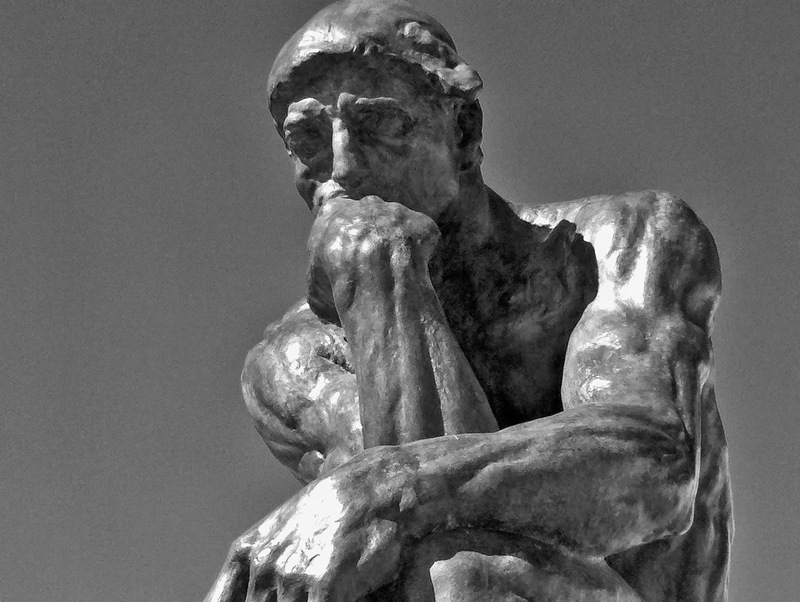 First and foremost, to my way of thinking, is fee-for-service. Doctors in the US – unlike other countries where they are salaried – get paid for piecework. If a surgeon doesn’t operate, he doesn’t get paid. If a specialist doesn’t have a patient scheduled, HE doesn’t get paid. Money is a powerful incentive. So we should not be surprised if doctors increase their own volume of services, many times unconsciously. The next big reason is our health insurance. Until recently premiums were paid by the employer and out-of-pocket copays were minimal. Healthcare felt free to most of us. Most of us had no idea what our care was costing the system, and cared little. Talk about a perfect storm! Why didn’t market forces keep down costs and spending. Many politicians and reformers think competition as the simple solution to the healthcare cost problem. But economists will tell you that healthcare is not a pure market; they refer to it as “imperfect.” The reasons are first that no one knows the true price of anything. Have you ever tried to sort out a hospital bill? Ridiculous! Second, markets rely on buyer and seller having equal footing to negotiate, but most patients dare not quibble with their doctor. Doctors get their feathers ruffled when patients challenge their advice. Third, to make matters worse, patients are a “captive market” – they are often suffering, frightened for their life, and desperate for immediate relief, not exactly a strong bargaining position. Fourth, doctors can control demand. There’s an old joke about the level of eyesight loss that needs a cataract operation – if there’s one doctor in town it’s 20/100, if two doctors it’s 20/80 and if three doctors in town it’s only 20/60. Next is administrative costs. Some economists estimate that up to ¼ of all health spending is for administration, not actual care. This is not surprising knowing how complicated we make our delivery system and financing system. Other countries have one delivery system and one payment system. US has 600,000 separate doctors, 5,500 separate hospitals, and 35 different insurance companies, not counting Medicare and Medicaid. Doctors used to drown in papers; now we spend up to 2 hours doing computer work for every hour of patient care. Don’t you love it? For comparison, Medicare reports only 2% administrative costs (but some other costs are hidden elsewhere in government). Some other spending drivers include inefficiency. I include in this category unnecessary tests and treatments, as well as wasted effort due to incompatible computerized record systems – there are 632 separate electronics vendors in the US. If airports ran this way, each airline at each airport would have its own unique air traffic control computer that did not connect with each other. All in the name of free market. Regards unnecessary treatments and procedures, a doctor at Dartmouth named John Wennberg pioneered using Big Data in the 1980s to look at numbers of prostate operations in each individual ZIP code, and found that surgeons in some regions were operating 13 times for often in highest areas than the lowest. Since prostate disease is relatively constant everywhere, this can only mean that doctors practice varies widely – the highest utilizers are doing too many operations. Next is monopolies. Many small- and medium-sized towns and rural areas can only support one hospital. This creates monopolies with no market forces whatsoever to hold down charges. Cost-shifting means that uninsured patients come to the ER for care. Since the ER doesn’t get paid, the ER shifts the Uninsured cost into the bill for INSURED and Medicare patients. The cost-shifting itself doesn’t increase the costs, but getting care in an ER instead of doctor’s office is the most expensive possible place for care. The FDA new-technology policy means that FDA rules say that it will approve any new drug or treatment if it shows even the slightest statistical benefit, no matter how small. Some cancer drugs are approved that extend life by only a few weeks. Some medicines are approved, even if the number needed to treat is 100. For example, for some new cholesterol medications, 100 patients need to be treated for 5 years before we see even 1 heart attack prevented. That’s a lot of patients, and a lot of doses, and a lot of dollars. By comparison, since half of appendicitis patients die without treatment, and almost all with appendectomy surgery survive and live happily ever after, the calculated number-needed-to-treat is only 2. So appendectomies are a good valued, but cholesterol medication (for otherwise healthy people) is questionable value. Here is another way of looking at value. As we go from left to right in this graph, we are spending more and more on health care. The more we spend, the higher the cumulative health benefit, at least to start. The first section (Roman number I) are very high value interventions like public health, sanitation, immunizations. The next section (Roman number II) are good value routine health treatments, including kidney dialysis and first-line chemotherapy for treatable cancers. But when we reach the third section (Roman number III), the benefits level off. Bypass surgery is less effective for older patients (and more risky); dying patients don’t survive in intensive care units and are miserable with tubes and futile breathing machines. If we spend even more we reach section Roman numeral IV in which no additional benefit is gained, just a lot of extra testing, treatments or drugs – these are wasted dollars. And if we keep spending more yet, we actually do more harm than good, and can even have deaths on the operating table or reactions to too many drugs. The US is well into section IV and in some cases section V. A lot of other richer countries think that they have already reached the point where spending more will give no benefit or possibly do more harm than good, even though they spend less than the US. In the next episode we will look at the ramifications of so much health spending on the US economy, politics and society. We will look at some potential threats if we do not start to control costs better. Previous studies for Medicare by the Lewin Group and other researchers suggest that Medicare’s Bundled Payments for Care Improvement program has reduced the amount Medicare pays for each hip and knee replacement. It’s obvious that if we’re going to make healthcare a sustainable proposition for the nation, we have to address the elephant in the room—inefficient, high-cost hospital systems that are built and incentivized to maximize reimbursement, not outcomes. One of our core beliefs is that we’re not going to fix that problem without engaging health systems in the work. The notion that we’re going to “disrupt” hospitals and make them “obsolete” is the worst kind of wishful thinking, a David-and-Goliath fantasy that doesn’t us any closer to a real solution. What’s needed are re-envisioned health systems that transform the way they organize and deliver care in a way that drives real value for consumers. Over the next several weeks in this space, we’re going to share one of our core frameworks for working with health systems to advance that goal. We’ll lay it out piece by piece, and then discuss some of the major implications for health system leaders. We start with a conceptual depiction of the status quo. 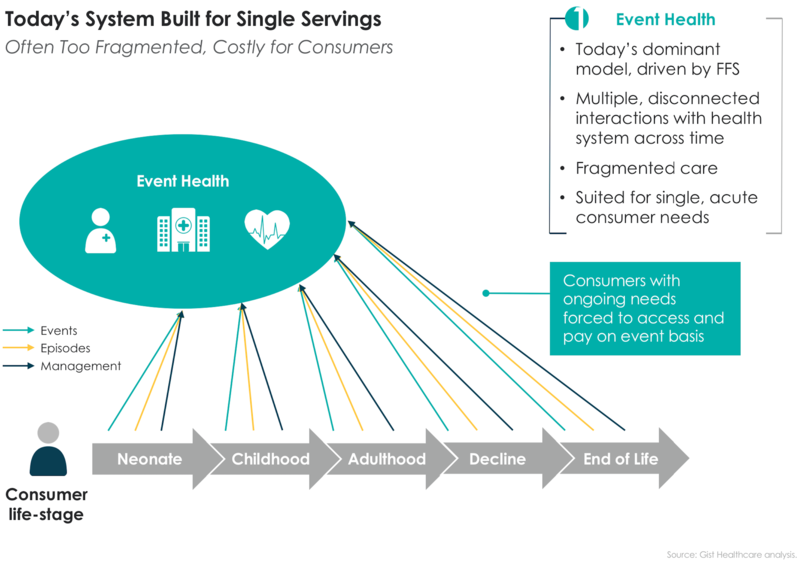 We describe today’s health system as “Event Health” because most providers are in the business of single-serve interactions with patients, paid on a fee-for-service basis. And indeed, many of the healthcare needs that consumers have present as “events”—acute episodes of illness that can be addressed with a one-time service interaction. For instance, I may have a sinus infection and need treatment, and a single visit to urgent care solves the problem. But across the stages of their lives, consumers have other kinds of health needs as well: some are episodic, with multiple events taking place over a defined time period (think pregnancy and childbirth, joint replacement, heart surgery). And some are just conditions that need to be managed over an extended period (diabetes, depression, cancer). But our health system is a hammer looking for nails—addressing health needs of every type with an event-driven model. Next week, we’ll begin to discuss alternative organizing principles for the health system that moves beyond this “Event Health” approach. What’s Driving Health Care Costs? Value-based payment (VBP) models are an effort to rein in the growth of health care costs and improve quality. However, it’s unclear what overall impact VBP models are having on health care costs. Even though health care is provided at the local level, most evaluations examine health care spending at the national level. To address this disconnect, we conducted quantitative and qualitative market-level assessments. Our goals were to examine the impact of population-based, value-based care within a market; identify what measurable factors were associated with differing costs; and understand how business leaders are thinking about value-based care and cost reduction. “Growth of Population-Based Payments Is Not Associated with a Decrease in Market-Level Cost Growth, Yet” examined the impact of population-based VBP on per-beneficiary-per-year (PBPY) health care spending and quality of care. The study used growth curve modeling and fixed-effects regression analyses of Medicare and commercial claims data. “Market Factors Associated with Medicare Costs and Cost Growth” examined which market factors are correlated with PBPY health care costs and cost growth within a market using growth curve modeling. The study used and aggregated multiple data sets from public and private sources. “What Is Driving Total Cost of Care? An Analysis of Factors Influencing Total Cost of Care in U.S. Health Care Markets” combined qualitative interviews conducted during site visits of nine markets and the quantitative findings from the studies above to understand factors that may be influencing total cost of care in US health care markets. Based on data from 2015, there was no association between an increase in population-based VBP and slowing of health care costs in a given market. Our study did not include episode-based payments. Health care leaders across markets believe further changes to payment and delivery models are coming. Less clear is what, or who, will be the catalyst to push further change. The question of “what type of competition” in a market may be more important than “how much” competition. Lower-cost markets featured competition among a few health systems with well-aligned physician practices and geographic coverage across their market. Lower-cost markets appear to benefit from organized mechanisms, including state-sponsored or endorsed reporting agencies, for more transparent sharing of information on provider quality and costs.Based on quantitative and qualitative evidence, the studies contribute to our understanding of the dynamics of competition, integration, and transparency on health care costs in a market. Below, we summarize findings from the three mixed-method studies and provide some policy implications. VBP dates back to 2005 with the Physician Group Practice Demonstration. The Affordable Care Act (ACA) significantly accelerated the proliferation of VBP models with the creation of the Medicare Shared Savings Program(MSSP) and the Center for Medicare and Medicaid Innovation, which was tasked with developing and testing innovative new models. Commercial VBP arrangements have also taken hold in the years since the ACA’s passage. Given the growth of VBP, we wanted to examine whether, in the first few years following the ACA, these models were influencing the total cost of care. We used Medicare data from 2012 to 2015 and commercial data from 2012 to 2014 to assess the early impact of these models. We restricted our study to population-based VBPs, which included models with upside risk only (shared savings), both upside and downside risk, and global budgets, but excluded episode-based (bundled) payments. We did not find a statistical relationship between the level of penetration of population-based VBPs in a market and a decline in health care costs for Medicare or commercial payers. Nor did we find an improvement in quality. When we limited our analysis to just those markets with higher levels of population-based VBP penetration (at least 30 percent), our results suggested a very modest, not statistically significant, market-level decrease in cost growth. Despite this null finding, our results provide an important baseline for future research. There are several potential explanations for the null findings. For one, our study period (2012–15) may simply have been too early to see signs of population-based VBP lowering health care costs. Although today 561 MSSP accountable care organizations (ACOs) (the largest of Medicare’s ACO programs) cover 10.5 million beneficiaries, at the beginning of our study period in 2012 and 2013, only 220 MSSP ACOs covered 3.2 million beneficiaries. Many interviewees told us not enough lives were covered under VBP. Indeed, in some markets, less than 1 percent of lives were part of a VBP arrangement. Second, although participation in population-based VBP models is growing, few models involve the provider taking on downside risk. As of 2018, the majority (82 percent) of MSSP ACOs were in the non-risk-bearing Track 1, which means they share in savings if they spend less money than their assigned benchmark, but they will not incur financial losses if they spend more than the benchmark. Our site visits found that although different markets had varying levels of population-based VBP activity, no market had significant numbers of providers participating in downside risk. Several interviewees stressed the need to take incremental steps to more risk. Fee-for-service payment remains quite profitable for many providers and health systems. Even for those that have begun to take on risk-based contracts, fee-for-service payment represents the majority of total revenue. As long as the status quo remains lucrative, it’s difficult to make the business case for why a provider should undertake the effort to switch to a value-based focus that may lead to a reduction in use and total revenue. Still, several interviewees said they believed the move toward paying for value would continue, even if there’s some uncertainty over whether Medicare or private payers will lead the movement. It’s possible that when VBP models outweigh fee-for-service payments in a market, we’ll reach a “tipping point” and health care cost growth will decline. Many interviewees expressed enthusiasm for other VBP models, such as those based on episodes of care (bundled payments) and those designed for specific populations (for example, the frail elderly). These models may make more sense for specialty providers who perform a certain type of procedure or care for a certain type of patient. If these initial population-based VBPs results don’t show a relationship to health care cost growth, then which market-level factors do correlate? For our second quantitative analysis, we used a variety of public and private data sources to examine the relationship among several market-level factors beyond value-based payment and Medicare costs and cost growth between 2007 and 2015. All the factors together explained 82 percent of variation in baseline Medicare costs (Exhibit 1). The prevalence of chronic diseases was the most influential predictor of market costs, accounting for 41.5 percent of the variance. Hospital quality metrics, market socioeconomic status, and the concentration of hospitals and insurers also helped explain market-level costs. Using these same factors to predict Medicare cost growth was less fruitful, explaining only 27 percent of the variation in Medicare cost growth—substantially less than the 82 percent of baseline costs. As Exhibit 2 shows, a much weaker association exists between chronic disease prevalence and Medicare cost growth. 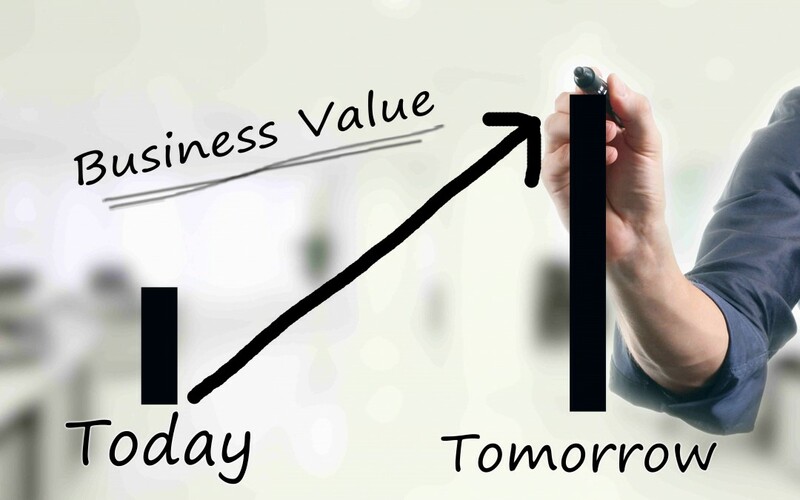 Significant additional research should be done to identify factors that predict cost growth. These findings matter for several reasons. First, they reinforce efforts currently underway to contain costs, including strategies to prevent and better manage chronic conditions, reduce hospital readmissions, and reduce the number of individuals without insurance. Second, although we know less about what drives health care cost growth in a market, meaningfully reducing spending in a market relies on developing strategies that target cost growth, instead of baseline costs. More research that focuses on what’s driving cost growth is needed. The interviews we conducted add insights into these market-level findings. We identified two distinguishing characteristics of higher- and lower-cost markets: type of competition in the market and degree of transparency in the market. We recognize that while there are some common lessons, health care markets differ significantly and their approaches to care, costs, and VBP models will vary. We know competition can help drive down costs and increase quality in health care markets. However, how much competition, and what type, seems to make a difference. For example, we found that the lower-cost markets in our nine site visits had at least one integrated delivery system. Consolidation in these markets had resulted in two to four health systems with geographic coverage across the market. In these markets, physicians were generally employed by the health system or worked in close alignment with it. Health plan competition matters as well, particularly with respect to innovation in new payment and care delivery models. Portland, Oregon, and Minneapolis-St. Paul, Minnesota, two of the lowest-cost markets, both had competitive health plan landscapes. Conversely, the markets we visited with less integration and seemingly more provider competition actually had higher costs. These included Los Angeles, California (which had higher Medicare costs only), Baton Rouge, Louisiana, and Oklahoma City, Oklahoma. One reason for this may be that there is less focus on addressing unnecessary use in these markets. Transparency is often cited as a strategy that will help contain costs. Similar to competition, the type of transparency effort matters. We found that some lower-cost markets seemed to benefit from organized transparency mechanisms, including state-sponsored or endorsed reporting agencies and employer coalitions that made information on provider quality and costs publicly available. For example, in 2005, the Minnesota Medical Association and health plans in the state together formed MN Community Measure, a nonprofit organization tasked with the collection and dissemination of data on the quality and cost of providers across the state. Today, providers are required to submit data to the organization. Our interviewees expressed optimism but acknowledged more work is needed to optimize consumer-oriented transparency tools, which research has so far shown to have had only minimal use. Our research led us to three primary policy recommendations to help improve health care quality and lower costs (for additional ones, see the fullstudies). Continue movement toward payment models that increase financial incentives to manage total cost of care and closely monitor the impact of doing so because our findings show that the majority of payments in a market continue to flow through fee-for-service, instead of value-based arrangements. Experiments should continue with population-based VBP models but should not be confined exclusively to these models. Episode-based payment models, for example, may be better suited to certain types of providers who perform a certain procedure (for example, a knee replacement) instead of care for a general population of patients. Balance the benefits of competition with the benefits of integration. The lower-cost markets we studied had competition among two and four systems with well-organized provider networks that had been developed through vertical integration or strong alignment of physician practices. Most of the lower-cost markets also had an integrated delivery system—with vertically integrated health plan, hospital, and physician capabilities—as a competitor in the market. Support more transparent sharing of information on health care cost and quality within markets. Lower-cost markets in the qualitative study had organized mechanisms for the sharing of information on health care cost and quality, whether through employer coalitions, statewide reporting agencies, or both. Although differences exist among each health care market, all markets can act to improve quality and reduce costs. Our studies suggest several actions different stakeholders in each market can take to improve care for their populations.